A bag designed especially for the most adventurous and spontaneous of souls. 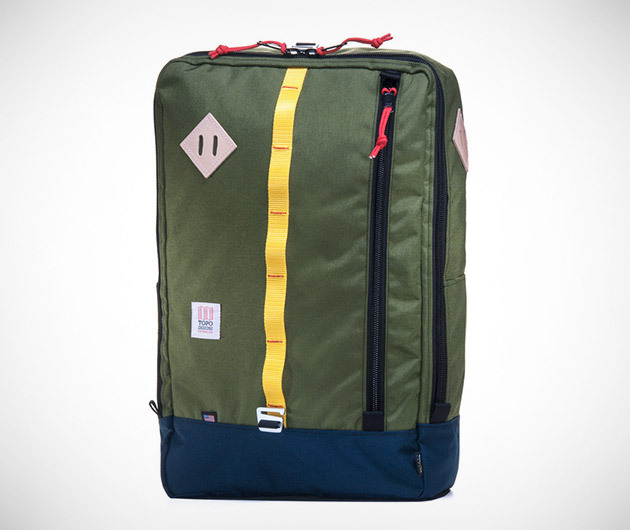 Topo Designs Travel Bags are large enough for the essentials, but compact enough for carry-on and sport a three-sided zippered front flap for easy access. Inside there's a laptop slot and out a couple of pockets for bottles while round front rests webbing and leather lash tabs for your extra outdoor gear. Choose from three color schemes.